Noushin Nasiri is a Postdoctoral Research Fellow at the University of Technology Sydney (UTS), the ARC Research Hub for Integrated Device for End-user Analysis at Low-levels (IDEAL) and the Initiative for Biomedical Materials & Devices (IBMD). 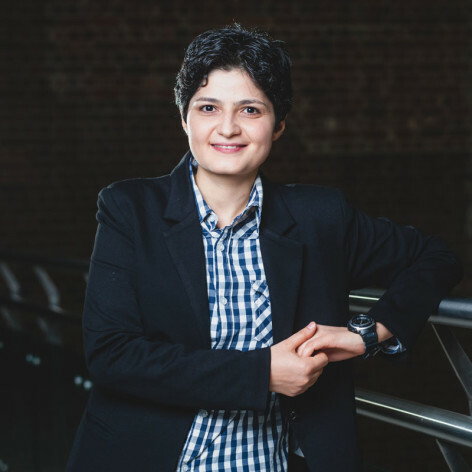 She has received her Masters of Engineering in Materials Engineering from the University of Tehran in Iran and then pursed her research at the Nanotechnology Research Laboratory of the Australian National University (ANU) where she received her PhD in Nanotechnology, in 2017. Her research has been recognized with more than 20 peer-reviewed journal articles, and also several awards including the People’s Choice Award for the ANU Grand Final 3MT and the Runner-up Award in the Famelab Australia Grand Final.